Why Is ExlService Holdings, Inc. (EXLS) Losing Support Among Top Investors? With the third quarter round of 13F filings behind us it is time to take a look at the stocks in which some of the best money managers in the world preferred to invest or sell heading into the fourth quarter. One of these stocks was ExlService Holdings, Inc. (NASDAQ:EXLS). ExlService Holdings, Inc. (NASDAQ:EXLS) was in 13 hedge funds’ portfolios at the end of the third quarter of 2015. ExlService Holdings, Inc. (NASDAQ:EXLS) investors should pay attention to a decrease in hedge fund sentiment in recent months. There were 15 hedge funds in our database with ExlService Holdings, Inc. (NASDAQ:EXLS) holdings at the end of the previous quarter. At the end of this article, we will also compare ExlService Holdings, Inc. (NASDAQ:EXLS) to other stocks including Oasis Petroleum Inc. (NYSE:OAS), Marketo Inc (NASDAQ:MKTO), and Examworks Group, Inc. (NYSE:EXAM) to get a better sense of its popularity. In the eyes of most market participants, hedge funds are seen as underperforming, old investment tools of the past. While there are over 8,000 funds in operation at present, experts at hedge fund tracking site Insider Monkey hone in on the top tier of this club, around 700 funds. These investment experts orchestrate the majority of the hedge fund industry’s total capital, and by monitoring their first-class equity investments, Insider Monkey has deciphered numerous investment strategies that have historically surpassed the S&P 500 index. Insider Monkey’s small-cap hedge fund strategy beat the S&P 500 index by 12 percentage points a year for a decade in its backtests. Keeping this in mind, let’s review the new action surrounding ExlService Holdings, Inc. (NASDAQ:EXLS). Heading into Q4, a total of 13 of the hedge funds tracked by Insider Monkey were long in this stock, a decline of 13% from one quarter earlier. With hedge funds’ sentiment swirling, there exists a few noteworthy hedge fund managers who were increasing their stakes substantially (or already accumulated large positions). When looking at the hedgies followed by Insider Monkey, Lee Munder’s Lee Munder Capital Group has the biggest position in ExlService Holdings, Inc. (NASDAQ:EXLS), worth close to $33.2 million, comprising 0.7% of its total 13F portfolio. The second-largest stake is held by Jim Simons of Renaissance Technologies, with a $27.7 million position; 0.1% of its 13F portfolio is allocated to the stock. Some other peers that are bullish consist of Cliff Asness’ AQR Capital Management, and Israel Englander’s Millennium Management. Judging by the fact that ExlService Holdings, Inc. (NASDAQ:EXLS) has faced a declination in interest from the aggregate hedge fund industry, logic holds that there is a sect of funds which had dropped their full holdings by the end of the third quarter. At the top of the heap, Ken Grossman and Glen Schneider’s SG Capital Management cut the biggest stake of the 700 funds monitored by Insider Monkey, totaling close to $6.3 million in stock. Mark Coe’s fund, Coe Capital Management, also cut its stock, about $0.7 million worth. These transactions are important to note, as aggregate hedge fund interest fell by two funds during the third quarter. Let’s also take a look at hedge fund activity in other stocks similar to ExlService Holdings, Inc. (NASDAQ:EXLS). 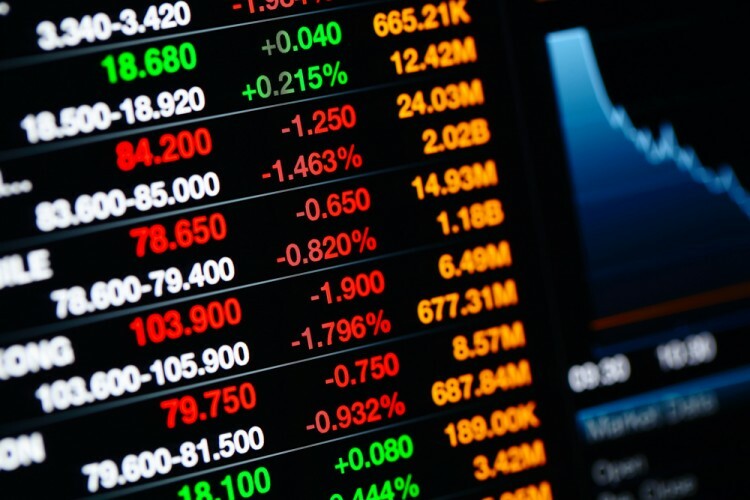 These stocks are Oasis Petroleum Inc. (NYSE:OAS), Marketo Inc (NASDAQ:MKTO), Examworks Group, Inc. (NYSE:EXAM), and Aduro BioTech Inc (NASDAQ:ADRO). This group of stocks’ market caps are closest to ExlService Holdings, Inc. (NASDAQ:EXLS)’s market cap. As you can see these stocks had an average of 16 hedge funds with bullish positions and the average amount invested in these stocks was $170 million, far more than the $76 million invested in ExlService. Oasis Petroleum Inc. (NYSE:OAS) is the most popular stock in this table. On the other hand, Aduro BioTech Inc (NASDAQ:ADRO) is the least popular one with only nine bullish hedge fund positions. ExlService Holdings, Inc. (NASDAQ:EXLS) is not the least popular stock in this group but hedge fund interest is still below average. This is a slightly negative signal and we’d rather spend our time researching stocks that hedge funds are piling on. In this regard Oasis Petroleum Inc. (NYSE:OAS) might be a better candidate to consider a long position in. Tutor Perini Corp (TPC): Hedge Fund Ownership Diminishing Is DryShips Inc. (DRYS) Going To Sink These Hedge Funds? Should You Buy Supernus Pharmaceuticals Inc (SUPN)? What Top Investors Think About Vocera Communications Inc (VCRA) Is Anworth Mortgage Asset Corporation (ANH) Going To Burn These Hedge Funds... Do Hedge Funds Love Del Taco Restaurants Inc (TACO)?